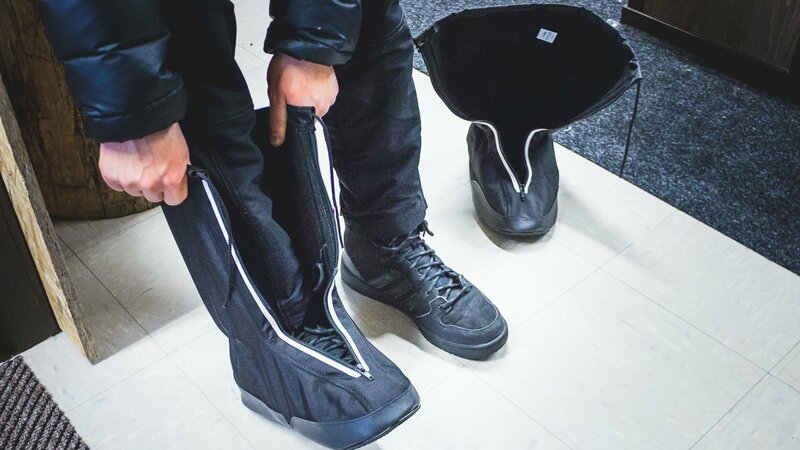 Shoe covers available to keep snow out and toes warm. 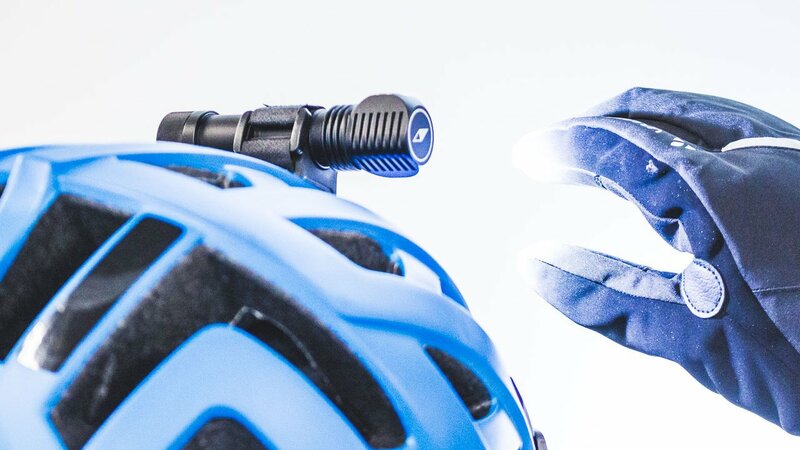 For your safety, we provide high quality mountain biking helmets. LUMONITE head torch gives you the light to the darkness. 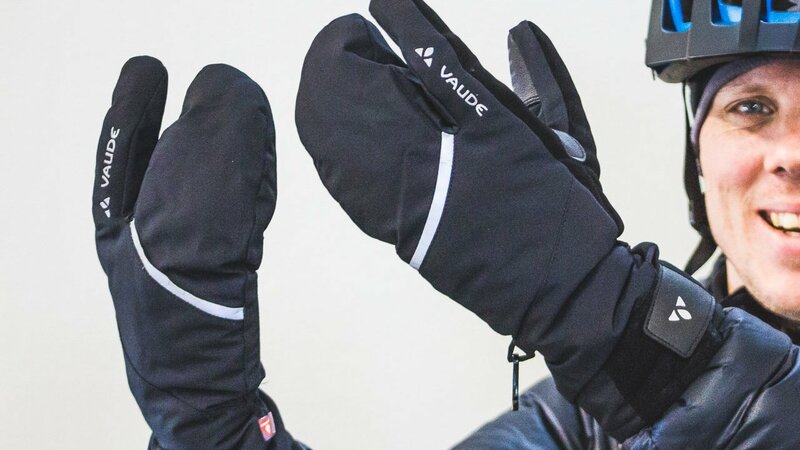 Vaude winter mountain biking gloves to keep your hands warm. 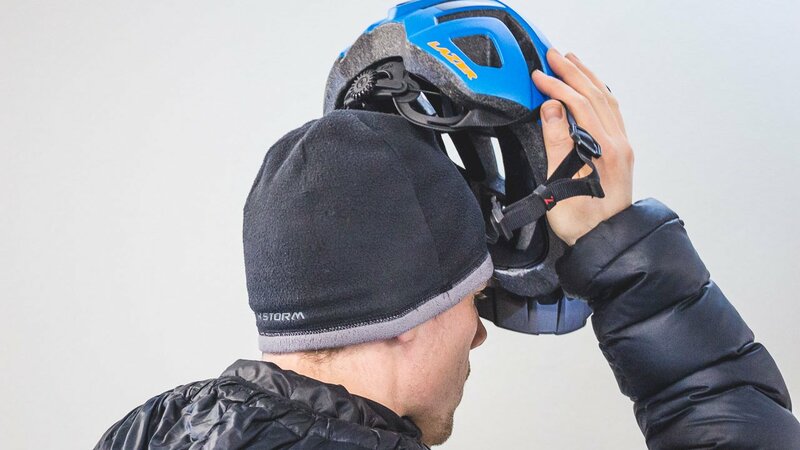 To keep your head warm, we provide the cycling beanie under the helmet. 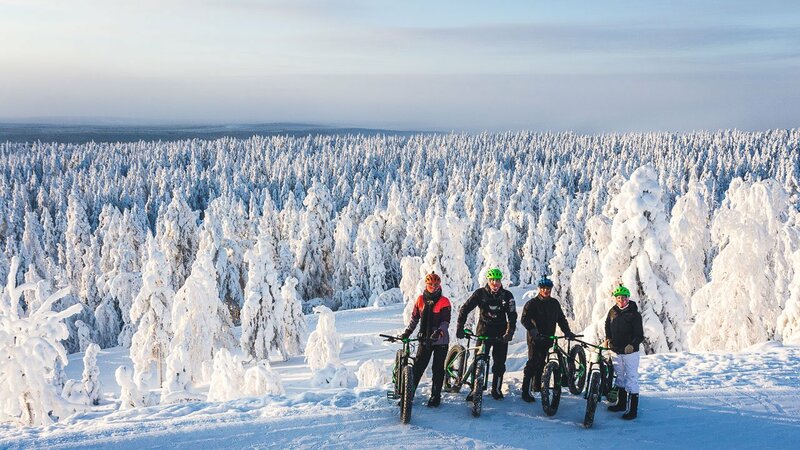 The best MTB trails of Lapland, forests full of snow and stunning sceneries on top of the hill. 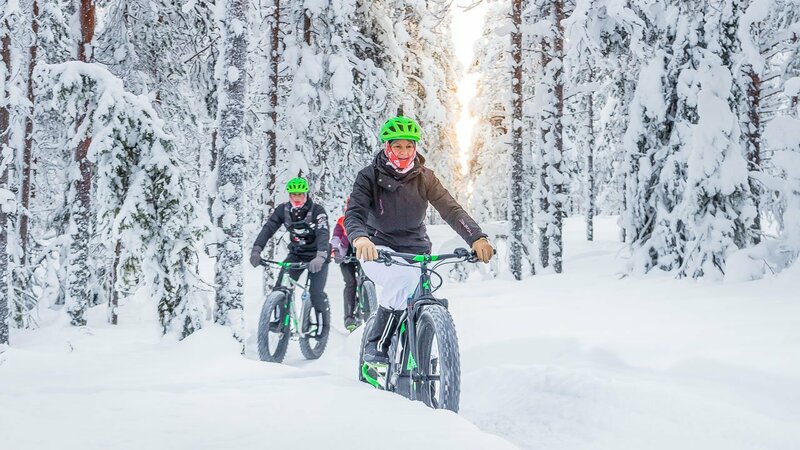 Do you want to have a after lunch -bike ride and enjoy the silent atmosphere of Nordic forest? 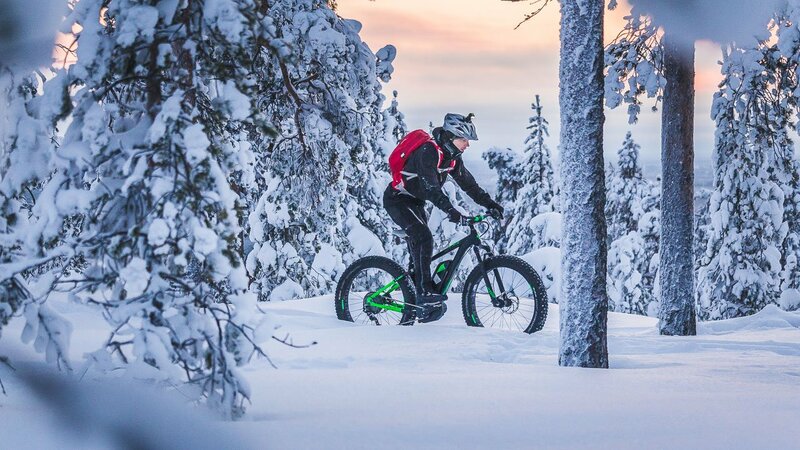 Let's go out with mountain bikes and ride to the top of Tottorakka, our hill located nearby. 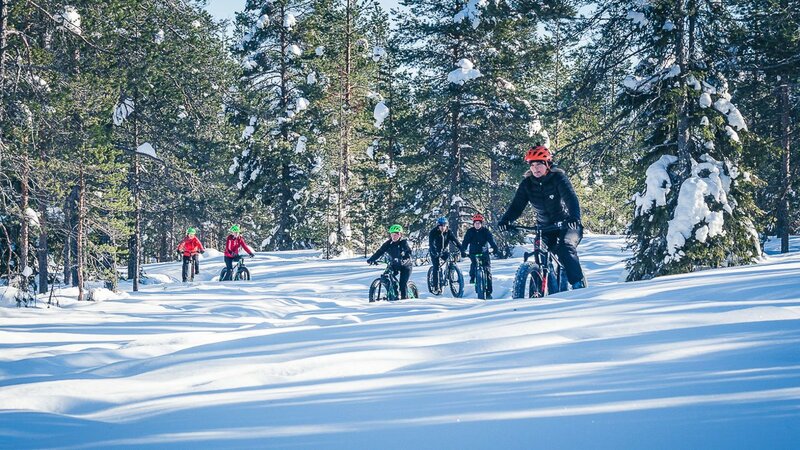 This is a afternoon version of our most popular Fatbike Winter Morning ride-tour. Our professional biking guide can take you on a glorious ride into the wintry forest. 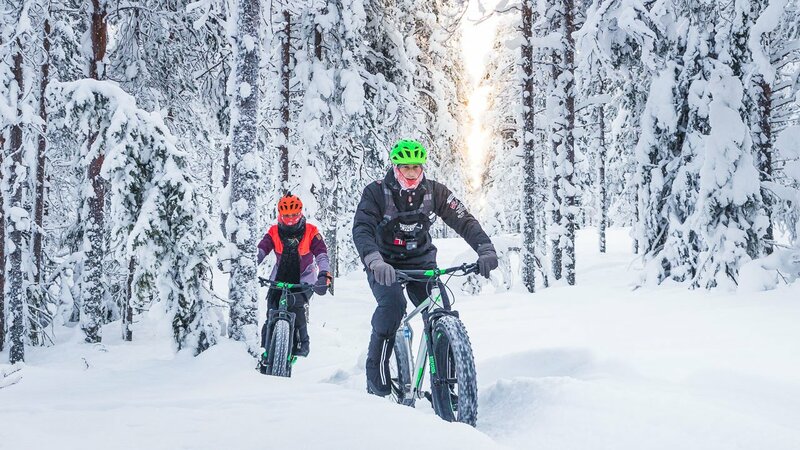 He also can show you some of the sweetest winter mountain biking trails and most flowy descents of Rovaniemi area. This tour is suitable for intermediate and experienced riders. The tour is happening on day time, but from end of November until to mid January it's getting dark before the tour ends. 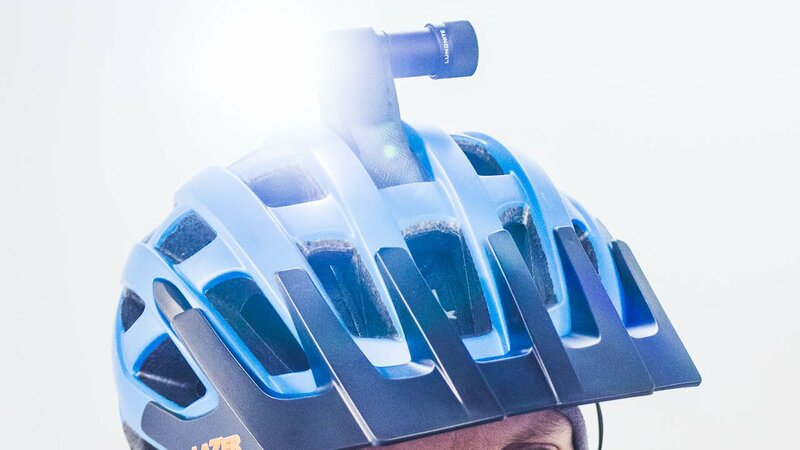 For that reason we have effective lights attached to the helmets and we love to use them after sunset! Riding up to hill is quite demanding and if you are not in fit, we recommend to book this tour with electric fatbike. It helps you to keep your heartbeat low and the speed high on long uphills. Electric assistance makes riding super fun all the way along the route. Tour starts from and ends to our garage at city centrum. Street address: Pekankatu 2, Rovaniemi. Meeting point at Hostel Cafe Koti reception 10 minutes before tour starting time. Group size: 1 - 8 persons. Ages: from 15 years and up. If you need a pick up, please contact us at info@rolloutdoors.com before you make a booking. Arctic weather with or without snowstorm and sunrays. Usually a little bit cold in the winter. Your personal travel and medical insurance. Any cancellation made 3-1 days prior to the arrival 50% of the total amount. Any cancellation made within 24 hours in advance of the scheduled tour time, will attract 100% penalty. All cancellations must be submitted in writing to the Company and received by Roll Outdoors within the timeframes outlined above to be eligible for a refund. 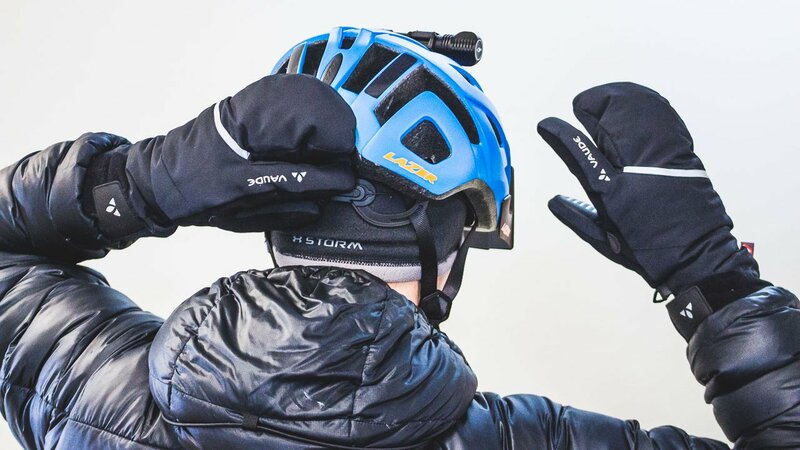 We ride in almost any weather, but in a case of really unrideable weather conditions, Roll Outdoors reserves the right to make changes to the programs, price and duration.